Directors/Producers: Frank Hawkins and Richard Ranft. 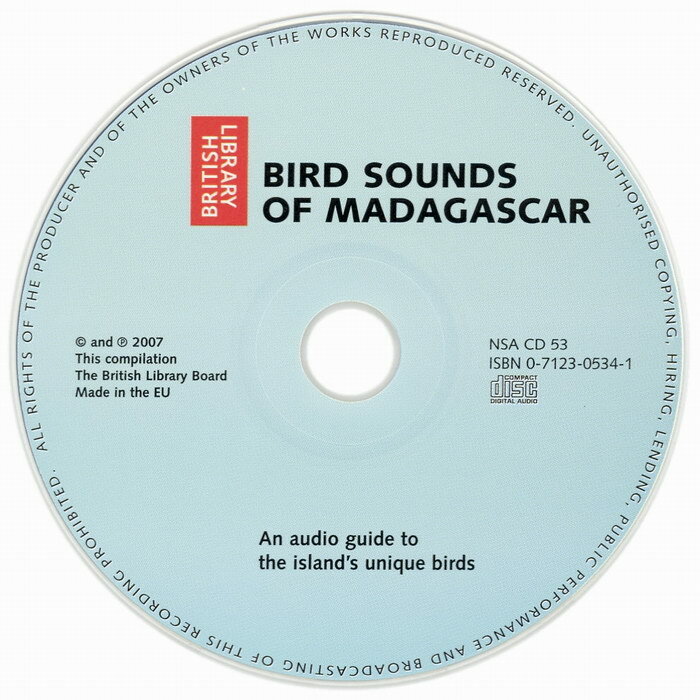 An audio CD with 99 tracks featuring the calls of 127 Malagasy birds. 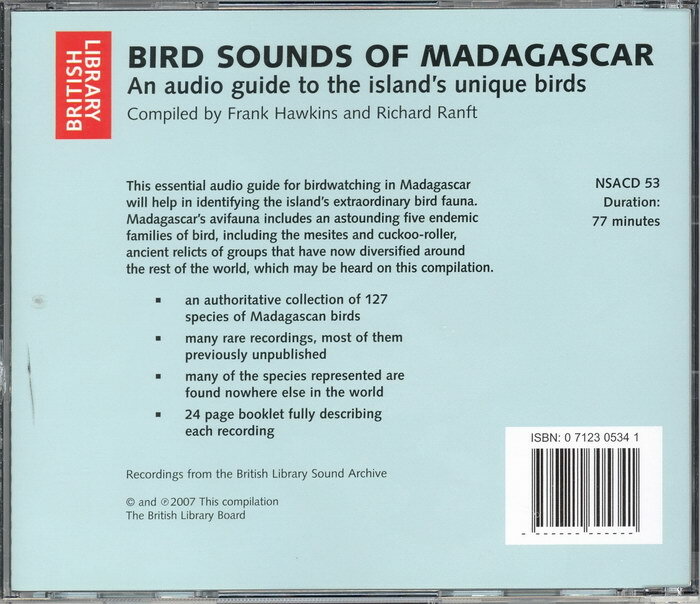 An accompanying booklet details the species, song type, location, date, and recordist in each case. 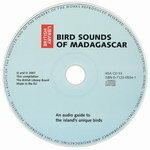 The essential audio guide for birdwatching in Madagascar will help in identifying the island's extraordinary bird fauna. Madagascar's avifauna includes an astounding five endemic families of bird, including the mesites and cuckoo-roller, ancient relicts of groups that have now diversified around the rest of the world, which may be heard on this compilation. 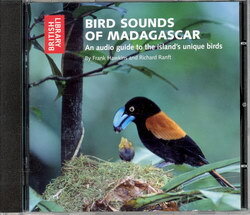 An authoritative collection of 127 species of Madagascan birds. Many rare recordings, most of them previously unpublished. Many of the species represented are found nowhere else in the world. 24 page booklet fully describing each recording. The image on the front is a Helmet Vanga feeding its chick, photographed by Nick Garbutt. The CD and case are printed with the invalid ISBN 0-7123-0534-1. The correct ISBN is 0-7123-0534-3, equivalent to ISBN-13 978-0-7123-0534-1. Item code: NSA CD 53. Small crack in back of case, otherwise Very Good.